"We are all exhausted but exhilarated," Chessell said by satellite phone after the climb. "The view, standing alone on the tallest part of the Antarctic, was incredible - you could see almost to the South Pole. To stand there and see the hundreds of kilometres we had trekked from the sea, across land never before crossed by people, was humbling," AAP quoted him as saying. The summit push involved a 1200m vertical climb and about eight kilometres of climbing in total, mainly up a very long glacial slope. The team was roped together for protection and took seven hours to reach the peak after leaving the high base camp. According to the report, temperatures at the summit fell to minus 35 celsius. The trek was also unique in the sense that the Australian team carried all their own supplies, pulling 60kg sleds across the ice. They stored most of their gear at the base of Mt Vinson and after descending the mountain intend to fly out to South America and then Australia. 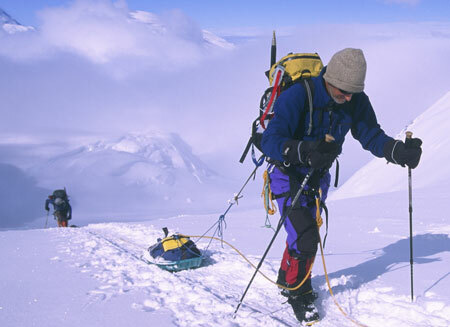 Though other climbers, including Australians, have summited Mt Vinson, they have not done it after a trek from the sea level. Congratulations to the Centacare Antarctic Challenge team!